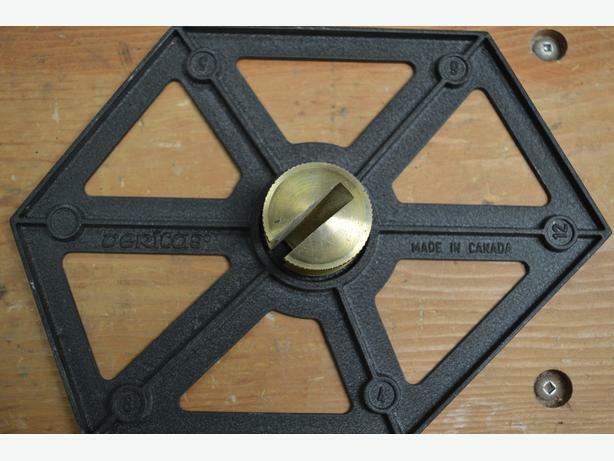 Veritas Poly-Gauge. It is ideal for picture framing, tubs and planters, glued-up cylinders for turning - any job that requires precise equipment setting for 4, 5, 6, 8 or 12 sided miters. This gauge, which is accurate to ±5 arc minutes (1/12°) on every angle, can be used to set table saws, jointers, radial arm saws, bandsaws, drill presses, or similar machines. 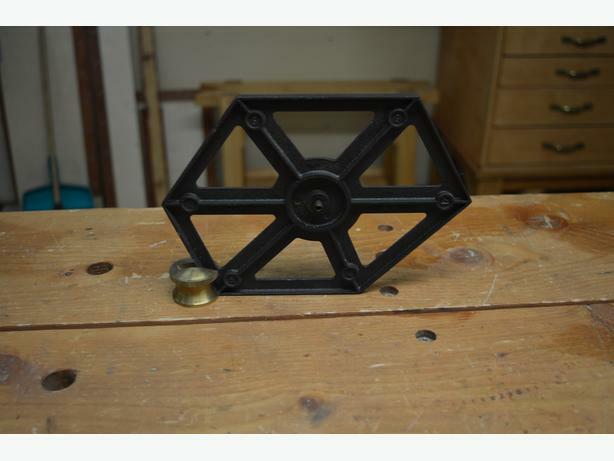 Used flat, the gauge is ideal for setting miter fences or for layout work. Used vertically, the slotted knob becomes a stabilizing base that holds the gauge erect so that you have both hands free for adjusting and locking a fence or blade. Made from brass and zinc aluminum alloy. The gauge measures 8-1/2" x 6" overall and comes with instructions for using it most effectively in the shop.